Noreen Naughton was born in Schenectady, New York. She studied at the University of Hawaiʻi at Mānoa, where she received a BA in studio art in 1967 and the MEd in art education in 1974. She has done graduate work in drawing, painting and sculpture at Cranbrook Academy of Art, Bloomfield Hills, Michigan, and the New York Studio School of Drawing, Painting and Sculpture in New York City, and post-graduate work in drawing and painting at the International School of Art in Umbria, Italy. She completed studies for the MFA in painting at the University of Hawaiʻi at Mānoa in 1979. Noreen has recently retired as Professor Emeritus of Art from Kapiʻolani Community College, University of Hawaiʻi, where she taught drawing and painting, served as visual arts coordinator and initiated the New Media Arts program. For eight summers between 1989 to 2001, Noreen also organized and led drawing and painting tours in Europe as part of the college’s study abroad program. She was awarded the University of Hawaiʻi Board of Regents' Excellence in Teaching Award in 1994. Currently Noreen is a full-time artist, painting in her studio overlooking Kāneʻohe Bay on the Windward side of Oʻahu, Hawai‘i. 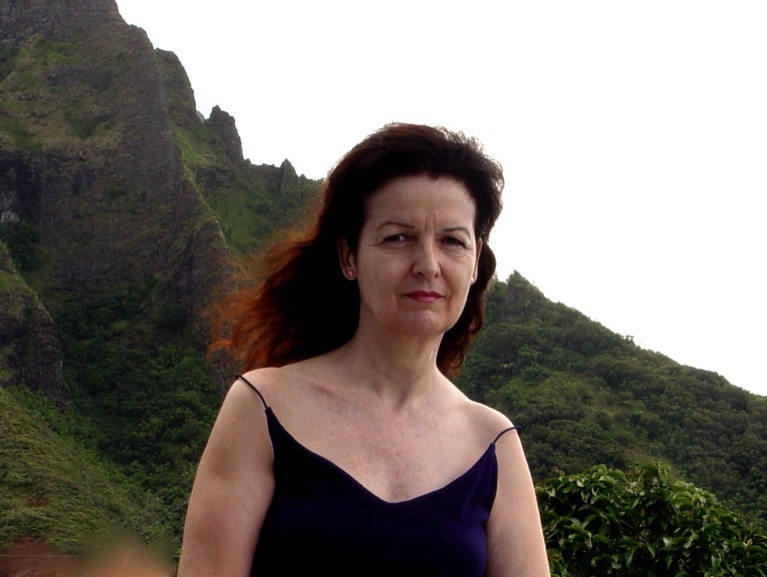 Noreen has had numerous solo exhibitions in Hawai'i and is represented in local, national and international collections, including the Hawaiʻi State Foundation on Culture and the Arts, and the Honolulu Museum of Art. In addition to her activities as a visual artist, she has also been a professional cellist with the Honolulu Symphony Orchestra. In 2015 Noreen was invited, with Martica Sawin, to present a lecture at the New York Studio School, New York City, titled “The Art and Teachings of Nicolas Carone,” based on her manuscript: The Teachings of Nicolas Carone, Master Artist Teacher: Narratives, Critiques and Conversations from 1969 to 2010. Recently she was Artist-in-Residence at Hawaiʻi Volcanoes National Park for the month of October 2016, sponsored by the National Parks Arts Foundation, and in January to February 2018, had an exhibition at the Koa Art Gallery at Kapiʻolani Community College, titled Nicolas Carone/Noreen Naughton: Sharing the Knowledge, as part of the Carone Centennial Celebration. Study Abroad tour leader "Drawing in Italy"